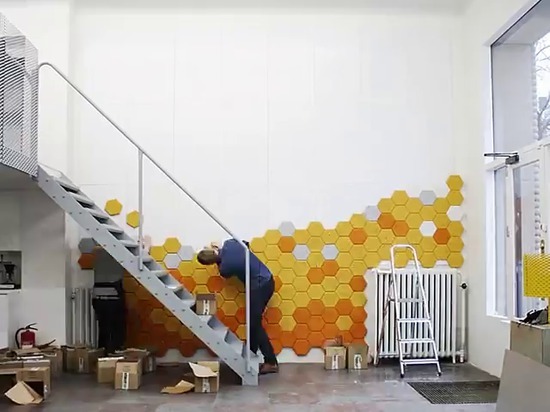 The modular tiles are available in a variety of different colors and can be assembled in various patterns to create a gorgeous mural on your wall. 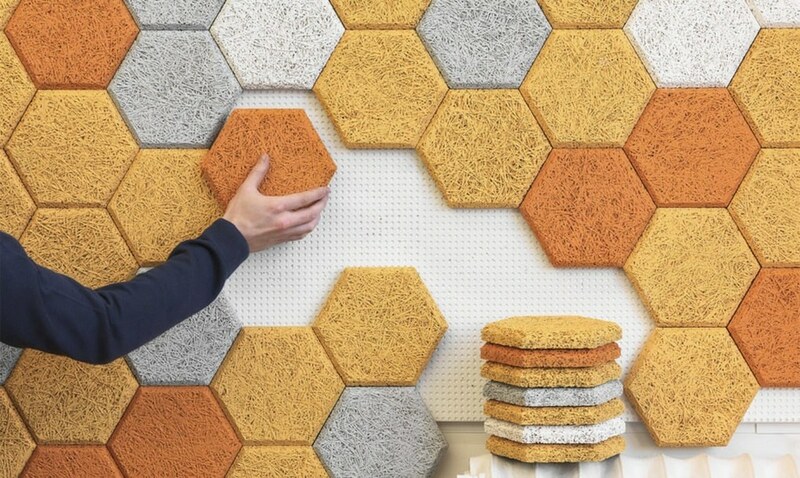 The tiles are made from wood fibers mixed with cement and water, and they have sound-absorbing properties that can actually improve the acoustics of a room. 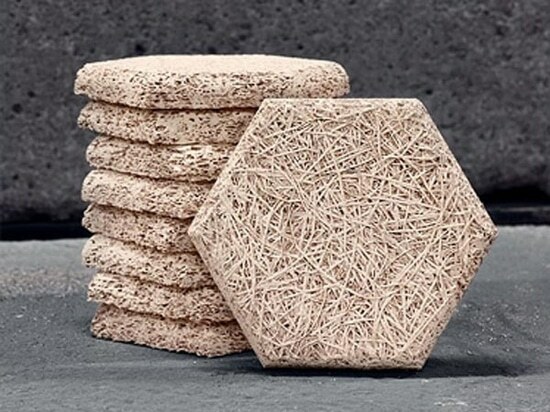 The tiles are made from wood slivers which are known primarily as excelsior or wood wool in North America. 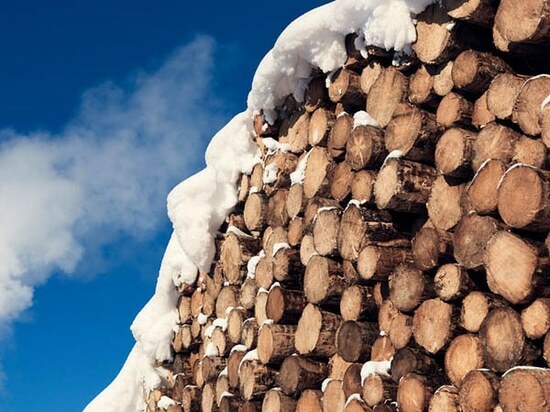 The material is mainly used for packaging, cushioning, insulation, and even stuffing teddy bears. 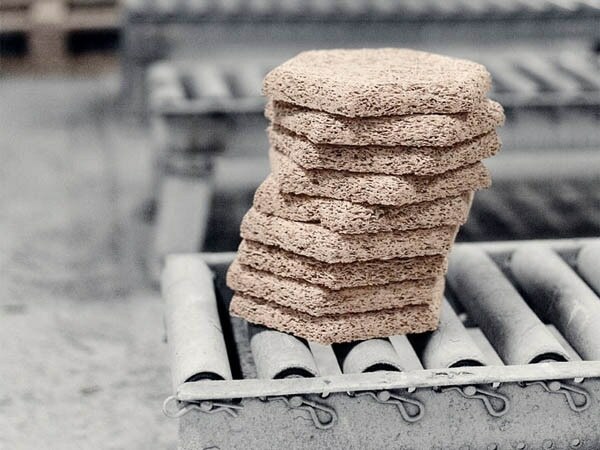 The process of making wood wool cement is very simple: wood slivers are cut from local tree logs and then get mixed with some water and cement, which acts as a binder and provides strength. The mixture is then put into a mold and left to dry into shape. 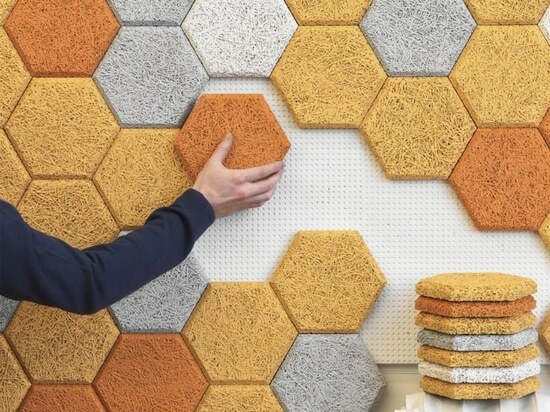 The result is a material that is environmentally friendly, moisture and sound absorbent, and fire and water resistant.